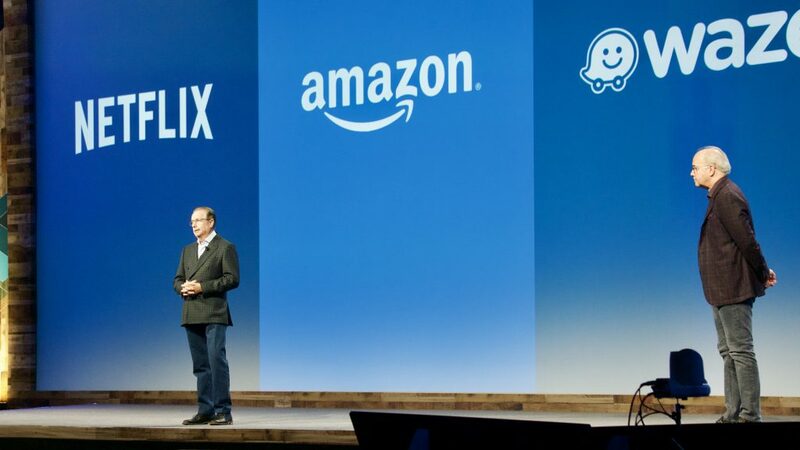 Bob Hammer and Al Bunte audaciously compared Commvault to the hottest companies in tech. Can they truly transform the company? Commvault wants us to think differently about data, more importantly your backup data. Gone are the days where your backups are just collecting dust hoping to be used or from a business never needed. In today’s world, where every company is in a digital transformation, data is the new oil. What other buzzwords can I toss in here? All kidding set aside, stop and think how you or your company is utilizing the data it has today. Is that different than how you were using it 5 years ago? Data protection is evolving into data management, no longer being used to just ensure that your company’s information can be restored. “Actionable insights that drive real business value” is the future of your backup data. Steve Connell laid out a perfect journey for us, in words and visual animations that captivated us while subtly conveying this message. He spoke about how we have evolved with the connection of data to our daily lives, from the stone age to today. The impact information has and the knowledge we can gain from it is still developing. 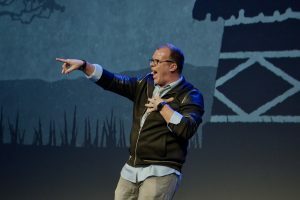 This was solidified with Evan Ruggiero’s tale and performance during the second keynote. It was so inspirational. 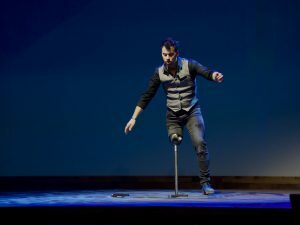 Having lost his leg, with the help of technology embedded in his prosthetic, he continued to live. Taking the data and turning it into meaning, dare I say life altering impact on how he will live. While not as touching as Evan’s story, businesses are on a similar journey of taking data and using it to improve a process, user experience, or sales. Let’s look at how Commvault’s simplification of messaging and products impacts not only their business but the customers they are selling to. By analyzing the data within the feedback from customers, Commvault was able to simplify their licensing model and change the pricing structure as well. This helps them be more competitive in the marketplace. If Commvault continued with their legacy ways in licensing, it would impact future sales and adoption of their platform and products. I know I had questions on this was planning on grilling them on what was being done to simplify their licensing models. I asked that question at Commvault GO and they answered. 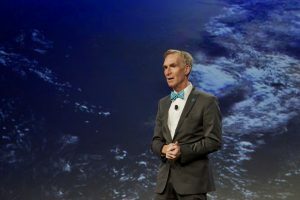 Bill Nye said it best: You are not alone. While Bill was talking about life in the world, Commvault was talking about how they are refreshing and expanding their partner ecosystem. Announced at the event were two strategic partners: HPE & NetApp. Turning away from the direct sales approach, Commvault will be focused on enabling their partner ecosystem. They streamlined the quoting process, stripping out steps and making it easier for partners to queue up a quote for a customer. The process can now be done on a mobile phone. I know I said I would shy away from buzzwords, however most if not all the day 2 keynotes were around artificial intelligence. Making smarter decisions is the outcome, reducing complexity saves us time and in business time is money. Worrying is a part of life, we work ourselves up over the what-ifs in life and work. Commvault is trying to make us worry a little less, by using data rich dashboards with a splash of AI to help ease our minds. Having the visibility to the information when we want and how we want it is crucial to having peace of mind. Artificial intelligence to help offset and do deeper learning on our systems to notify us of a possible issue beforehand or detecting something that isn’t quite right with a defined workflow is an absolute must in today’s business world. Enhancements and software features is just the tip of Commvault’s announcement iceberg. There is an updated appliance. Two new appliances are added to the portfolio: As Stephen Foskett says, “Baby Bear is under 15 TB and the Papa Bear is over 288 TB.” This will give small to large enterprises options that will fit their Commvault Complete Backup and recovery needs. Commvault is trying to deliver on how companies really want to use the cloud. Managing a large cloud environment is complex, and Commvault believes that users must get it right from the very first movement of data across the wire. Customers have been selecting Commvault because they have been gaining insights and really getting to know their data, but more importantly solving problems they are encountering. Data protection is evolving into data management and backups are just a small piece of the data pie. Commvault is positioning itself as being able to handle the many facets of data management. 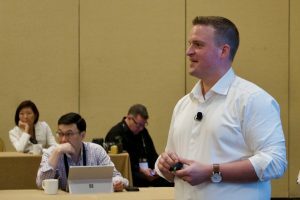 I was fortunate that I sat in on both the keynote and a session by Don Foster that goes into Commvault’s vision and where they are focused on developing products for the future. Check out Don’s session here. My final thought: Commvault is spot on that organizations need to think differently about their data.